Home / Family Life / Are you ready for the Big Game? Everything you need to keep your #GameDayTraditions going is available at Wal-Mart, and I am so glad I got over there to get all of the supplies that I need! We have been busy around here, there are tablecloths to wash, towels to get clean, dishes that need to be brought out, windows and TV screens to wipe down, and of course we all need to spray down our furniture to get it smelling and feeling fresh for our friends to come over and watch the big game. We always have friends and family over and enjoy just having some quality time watching the game and enjoying each others company. The game seems to keep most of the men totally engrossed but, the kids and some of the woman would rather hang out in the kitchen and talk about other things. I always seem to have a bunch of chores around the house that need to be done before everyone comes over and it seems like I am still cleaning up from the holiday season. I always like to wash my tablecloths and dish towels a couple of weeks ahead of time and I always use Tide to make sure I get out the spots and stains that are on them the first time. Tide targets tough stains with specially formulated with HE Turbo technology. I have been loving the new pods, they make it so easy to make sure I am using the right amount of soap for each load. I can always count on Tide to even get out greasy food stains. After I get that done, I start to prep all of my veggies that I will need to make a pot of chili, I chop all of the carrots, onions, celery and tomatoes. I have found a great trick while doing this and wet a couple of Bounty paper towels to keep my cutting board from slipping and sliding while I am chopping things. Bounty with its Unique Trap & Lock Technology quickly absorbs messes and I love using the select a size to do all of my quick clean ups in the house, some jobs just require a small square of paper towels and saving money is always a great thing. While at Wal-Mart I always pick up the largest pack of Charmin they have so that I can stock up my bathrooms so that I never have to worry about running out with a bunch of people over. Charmin being 4X stronger when wet than the leading bargain brand, makes it my best choice. It amazes me sometimes how much toilet paper a bunch of people can go through in a 4 hour window. Having it be clog safe and septic tank safe makes it much more worry free when the kids are using the bathroom alone. 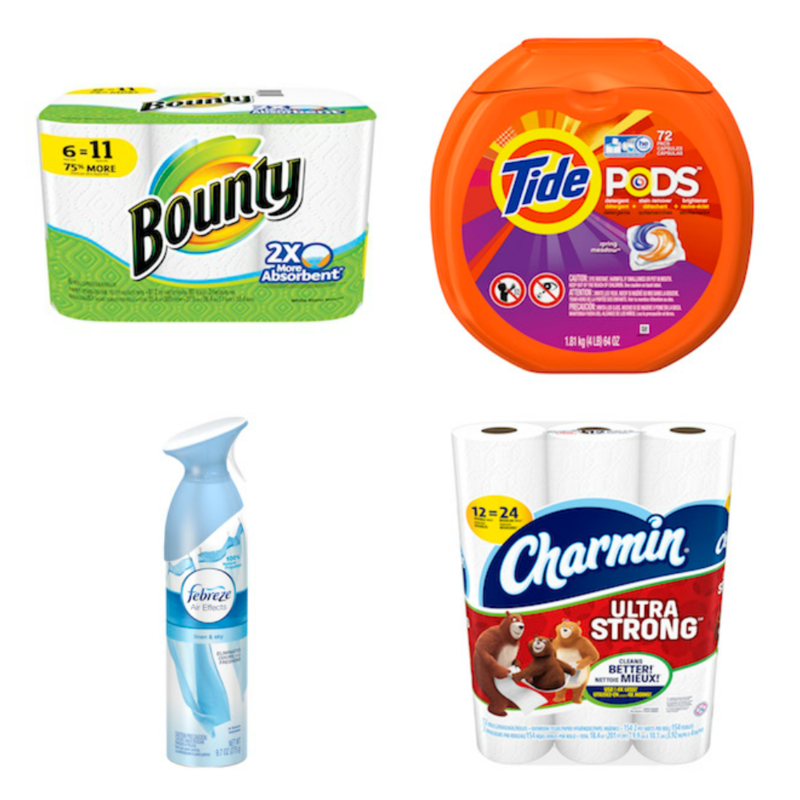 I love that I can always count on Proctor and Gamble to have products that I can count on, and of course being able to buy them all at Wal-Mart makes it so easy on my time and budget. What are you doing for the Big Game? Having a party? Maybe going to a party? Don’t forget to stop into Wal-Mart so that you can get everything that you need to get ready to party and root for your favorite team!